Part dirt and bugs, part history and part laboratory science, archaeology at the Johannes Kolb Site on DNR's Great Pee Dee River Heritage Preserve reveals activities through 13,000 years of time. In the year 1732 on a knoll of sand deep in the Great Pee Dee River swamp, frontiersman Johannes Kolb dug postholes for his house and outbuildings, not realizing that he was digging backward in time. With each layer of soil, he removed remnants of past campfires and discarded artifacts left behind by Native Americans since at least 13,000 years ago. Like others before and after him, Kolb left his mark on the landscape before moving on. In fact, the site seems to reveal evidence of occupation during all periods through time on this thirty-acre sand dune adjacent to an old course of the Great Pee Dee River. 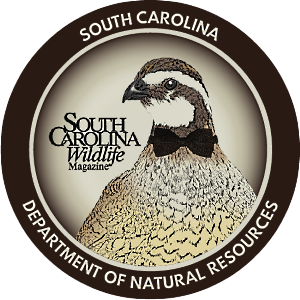 Nowadays it's mainly hunters and fishermen who come to the 2,800-acre S.C. Department of Natural Resources' Heritage Preserve, along with a team of professional archaeologists from the DNR who visit yearly, bringing a host of students and volunteers from the public at large. The Johannes Kolb Site was reported to the Institute of Archaeology and Anthropology at the University of South Carolina in 1974 by Ernest L. "Chip" Helms III, a native of the nearby farming community of Mechanicsville, in Darlington County. Helms became interested in archaeology as a child, collecting arrowheads, potsherds, British coins, kaolin pipes and other artifacts from the fields of his grandparents' farm bordering the lands of the future Great Pee Dee River Heritage Preserve. 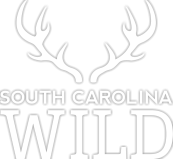 As a teenager he became familiar with the lands that now make up the preserve, hunting with his father and uncle with the Edwards Hunt Club in what was then known as Edwards Swamp. "The site was exposed during a period of logging in the 1970s," states Helms. "I knew it was special from the exceptional quality of the potsherds found here, and the fact that they represented some of the earliest pottery made in North America. They had been described extensively elsewhere, but there had been little significant professional work documenting these cultures in Darlington County. Moreover, the presence of Colonial ceramic fragments, brick, pipestems and other European artifacts suggested a pre-Revolutionary habitation as well. When I stumbled across a plat by T. E. Wilson showing 'Old Mr. Kolb's' at this location on the river, I suspected this site might indeed be that homesite. What I did not appreciate at that time, however, was the extensive familial connection 'Old Mr. Kolb' had with so many of the Pee Dee Region's earliest families. In many ways he is a type of Adam for the area." Helms wrote to Robert L. Stephenson, then state archaeologist, about his discoveries. His hand-written letters and maps provided the primary database when, in 1997, Helms persuaded me to excavate the site, eight years after the DNR's Heritage Trust Program had acquired the Edwards Swamp Property and dubbed it Great Pee Dee River Heritage Preserve. Helms was the project's first of many volunteers, and we have dedicated the project to the memory of his parents, Mr. and Mrs. Ernest L. Helms Jr. Since that time great effort has been directed toward the systematic archaeological survey and testing of the Kolb Site to obtain a sample of the information available through excavation. Through the excavation of carefully measured test units, we quickly realized that, while certain areas of the site were disturbed, others contained intact deposits to a depth of more than three feet below surface. Basically, the site has what archaeologists call stratigraphy - layers in the ground from different time periods, progressively older by depth. "Our sampling at the Kolb Site will eventually produce a seventeen percent sample, meaning we will have actually investigated seventeen percent of the total site. This should be enough to predict with accuracy the activities at the site. We are digging along a precisely measured grid with preset length, width and depth to help set artifacts in context when found." In doing so, we have found evidence that Native Americans, African Americans and Euro-Americans are all represented at the site - a microcosm of the South Carolina ethnic stew. "The process of organizing, identifying, and cataloging hundreds of thousands of artifacts has been a long and sometimes monstrously overwhelming job; however, it is not without its unique rewards. The Kolb Site produces a wide variety of artifacts, calling on the need for knowledge and research into both historic and prehistoric lifeways. The lab offers the most intimate view into the lives of the people who once owned and used the same objects that we derive meaning from today. Although lab work is only part of the continuous archaeological process, it is fundamental to the interpretation of the site." The artifacts' and deposits' position in the ground and association with other similar artifacts and deposits provide meaningful data to the archaeologist. A final, well-illustrated report will detail our findings and interpretations. Paleoindian/Early Archaic periods: Evidence of the earliest well-documented cultures of the Pee Dee region from as early as the Paleoindian period some 13,000 years ago have been revealed on and adjacent to the preserve, and a rather dense occupation by mobile hunter/gatherer bands is present from 10,000-8,000 years ago. Notched spear points and scrapers, as well as the debris from manufacturing such tools, are present. Stallings Island and Thoms Creek periods:About 4,500-3,000 years ago South Carolina potters were among the first Native Americans to fashion fire-durable containers from clay. 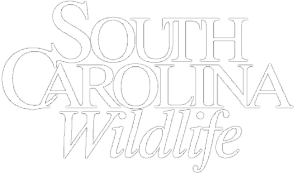 Stallings Island is represented by Spanish moss fiber-tempered wares, while the punctated and incised decorations on outer surfaces are the hallmark of both Stallings and Thoms Creek periods. Prehistoric pottery from the Kolb Site is being studied by Kolb team member and USC graduate student Sean Taylor. Johannes Kolb Homestead: Kolb has been rather elusive, even though his house is drawn on a 1747 plat where we are digging. Thus far we have found four postholes that can be clearly dated to the first half of the 18th century. Fine hand-painted delftware sherds and combed and trailed yellow slipwares from England were brought to the site and used by the Kolb family. Obviously some of these bowls, cups and plates broke and the sherds were recovered by our excavation. African American Occupation: During the mid-19th century an active and sustained occupation occurred at the site. One particular trash pit has yielded brick, mortar, glass, animal bone, pottery, a scissors, a key, a cuff link and a knife. Historical research indicating the owners of the land lived elsewhere during this time and the low-status nature of the artifacts led to the conclusion that this was a hamlet of enslaved African Americans living out in the swamp close to where they worked. To better understand the way artifacts become buried in the ground and the age of the Kolb Site landform, we have retained the services of geomorphologist David Leigh, of the University of Georgia. Dr. Leigh has examined the walls and floors of our excavations, placed deep cores in the upland and floodplain contexts of the preserve, and also taken core samples from locations upriver and downriver of the preserve. This research enables us to reconstruct the environment at certain times in the past. "The Kolb Site occurs on a sandy portion of a widespread late-Pleistocene terrace that stands just slightly above the flood plain of the Great Pee Dee River. State-of-the-art scientific dating techniques, including accelerator mass spectrometry (Carbon 14 dating) and optically stimulated luminescence dating (OSL, which determines the last time sunlight penetrated sand grains) have been applied to samples from the Kolb Site and similar landscape settings in the vicinity of the Kolb Site," says Leigh. 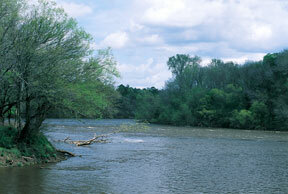 "The results indicate that the low terrace comprises most of the Pee Dee River valley. Thus, the landscape around the site existed prior to the time of widespread peopling of North America, which occurred circa 13,000 years ago. Thus it offers an ideal locality for preserving a continuous record of human occupation in the region." Additional work is ongoing to study pollen contained in Leigh's sediment cores. The study of pollen allows the reconstruction of the floral environment and helps us understand human interaction with the natural world. One of the more rewarding aspects of this project has been the overwhelming reception the DNR team has received from the residents of the Darlington/Florence area. We allow volunteers to join us in investigating the site, and visitors call on us daily. Some come and work for an hour and others come out for the whole ten days each and every year. Molly, Laura and Stephen Steadman, of Florence, for instance, have been volunteering at the Kolb Site for three years. Molly, popular on site for her upbeat attitude and endless energy, always has hot coffee and fresh baked goods for the crew. 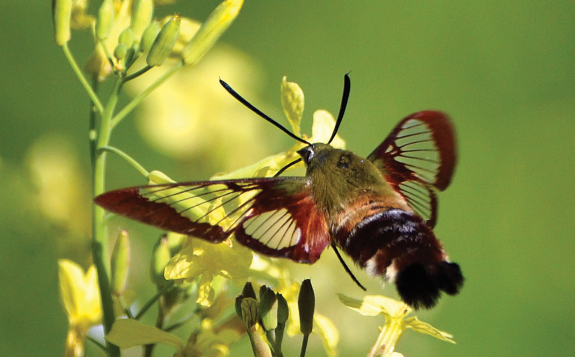 "The 'diggers,' as we call them, are a friendly group with a wealth of information to share. They are always willing to stop and answer questions. I consider visits to the yearly dig an important part of Laura and Stephen's educational experience," says Molly Steadman. We have also established ties with the Pee Dee Indian Nation, and Chief David Locklear and other tribal members have frequently visited the site. In addition, numerous school groups visit us in the field to observe the excavations firsthand. Groups from as far away as Orangeburg, Greenville, Spartanburg and North Augusta, as well as local schools, have participated in our outdoor classroom. Each group gets a guided tour of the site, a view of selected artifacts and an opportunity to ask questions. Small groups often get the opportunity to work beside the archaeologists. Many university-level students and professional archaeologists have volunteered on the Kolb Site. Students come to learn practical survey and excavation skills. Students from USC, College of Charleston, East Carolina University and University of Memphis have worked with us, and several of our alumni have entered M.A. and Ph.D. programs in archaeology. We are in the process of expanding our project to include the entire drainage and to that end have started the Great Pee Dee River Heritage Research Initiative to further our research and educational goals in the region. We plan to investigate other sites of both prehistory and history, record standing historic structures and cemeteries and continue to bring our information to the public through school programs and public-oriented publications. Like Johannes Kolb, we are on the frontier and digging down. 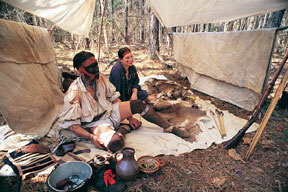 The archaeological history of the Pee Dee region has been until now a mystery. While we have learned a great deal, we have also generated additional questions that need to be answered. What else might be out there? Perhaps evidence of ice-age hunters? Perhaps a refuse pit belonging to Kolb that would teach us much about him and his family? Archaeology holds the key to answering those questions. 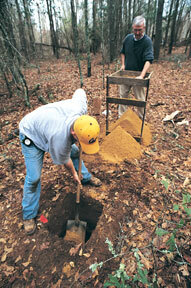 For more information about volunteering with the DNR's Archaeology Program, contact Sean Taylor at (803) 734-3753. A former staff archaeologist for the DNR's Heritage Trust Program, Chris Judge is a professor at USC Lancaster.